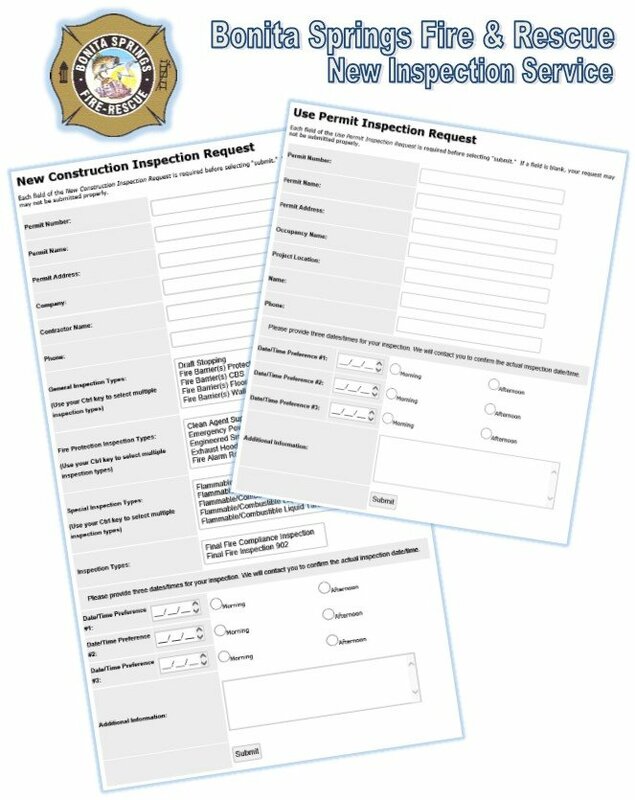 Effective immediately, the Bonita Springs Fire Control and Rescue District is now accepting on-line Inspection Requests. Click images below to request an Inspection for New Construction or Commercial Use Permit. Once redirected to Bonita Springs Fire and Rescue page, please include contact Info (email and/or phone number) in the comments box.